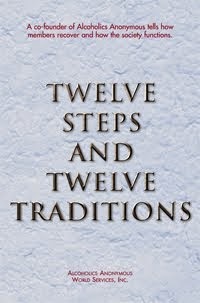 It’s obvious from what I hear people saying in meetings that God is a pretty important part of Twelve Step programs. What if I don’t believe in God or a Higher Power? We don’t need religion in order to recover. 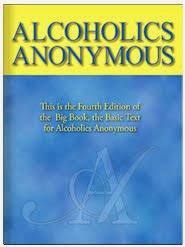 The only requirement for membership is a desire to stop using our preferred addictive substance or behavior. To recover, we have to put down what we’re addicted to, and we have to come to meetings. Not easy, perhaps, but simple and clear. Whether or not we believe in God, most of us recognize that we don’t live entirely independently. The phrase “a power greater than ourselves,” from Step Two, is a reminder to me that I don’t run the universe. Whatever I believe about God’s existence, I have to accept that I myself am not God – if I’m going to recover. I can’t control my addiction on my own. Willpower stopped working for me some time ago; I owe this newfound willingness to recover to someone or something that isn’t my intellect or will. Those who reject traditional concepts of God can still point to something inside – what some call their “better self,” their “sense of right and wrong,” their “higher self,” or their “spirit” – that got them here. The desire for wholeness has somehow proved stronger than the impulse toward self-destruction. Today, I accept that I’m not all-powerful.